Puppy is not on hold until payment clears and the puppy has YOUR name next to it on the website!!! PLEASE CHECK AND MAKE SURE THE PUPPY YOU PAID FOR IS ON HOLD FOR YOU AFTER YOU KNOW YOUR PAYMENT HAS CLEARED! New Owner Questionnaire. If I feel your answers do not fit the puppy you want I will call you to discuss a change or refund. *How Many persons are in the home and ages? *How many pets live in the home and their type and age? All puppies are only sold as pet quality, and no guarantee on breed ability, even if sold with full registration papers for conformation and or breeding. No refund is given in event your puppy does not turn out as you wanted as an adult. You must call and discuss wanting full registration. Full Rights is only given at breeder`s discretion. A Giant puppy with full akc is $3000 to $3500. If your puppy is less in cost you maybe able to pay the difference for full akc if puppy seems to be good enough quality for full rights. *What are you wanting in a new pet? Do not write questions on this form. If questions you must call. *Why is your home a good place for this puppy? Lets me know which ads work. Always call before making a payment to make sure puppy you want is available and so I can watch for your incoming payment and approve of the payment method you want to use. If you are picking your puppy up in person any amount owed is due in ONLY CASH at that time, since payments must clear before a puppy can leave. You can always call me to walk you through the payment process: My phone number is on our website. WHEN SENDING A BANK WIRE: You must put the puppy’s name and date of birth, and most importantly the person’s name that has signed the health contract on the actual wire transmission that is sent to my bank. If you fail to do this I will not know who or what pup the wire is for when I receive it. The same person’s name needs to be on this online puppy payment form that you fill out for the puppy you want. This is the only way to connect a buyer to a payment and to a puppy. After you send a wire contact us the next business day to make sure it has cleared in our account and that we are actually holding the puppy for you. Fill out this form and choose NON PAYPAL PAY button after clicking Submit below. If you do not see YOUR NAME next to your choice puppy on our website we are NOT holding the puppy for you. Check or Money Orders: No puppy will leave us until checks clear the bank. No puppy is on hold until payment has cleared the bank. If mailing a check or money order always send it express overnight so I will get it ASAP and make sure it has tracking on it just in case it gets lost in the mail. Tracking is enough to prove I received the letter. Do not put a mandatory signature on it, so wave signature if needed, so they will leave it at my door if I`m not home. If you absolutely must have a signature then only send with USPS,(United States Postal Service) since other carriers are over an hour from my home and I can not drive an hour from my home to go pick up if I miss them. I prefer no signature needed so it will be left in my mail box or screened in porch for me if I`m not home. If you want to pay with a check or money order: Please call me first for my address to send the payment to. Cash: IF PAYING CASH PLEASE CHOOSE MAIL IN PAYMENT OPTION BELOW AT CHECKOUT AND EXPLAIN IN NOTES SECTON YOU ARE PAYING IN CASH. You can always pay your deposit or any other payments in cash if you are coming out to our home. If you are picking your puppy up in person and owe a remaining balance you must pay it in cash only… We do not take checks or any other payment if you are taking your puppy home that day because all payments must clear before puppy leaves our home. So if picking up in person always bring CASH for any remaining amount owed on the puppy. Credit Cards: Credit card and PayPal payments can take 48 business hours, or even up to 5 days in some cases, to clear and your puppy will not be on hold until it clears, so if you are worried about someone else getting the puppy you want best to do a bank wire. If paying by credit card choose PAYPAL PAYMENT option on this form and then put in your credit card info on the PayPal site for payment. You do not need a PayPal account to do this. You can use your PayPal account or your credit card with PayPal. You do not have to be a Paypal member to pay with a credit card through PayPal. Buyer agrees that no charge backs or disputes will be filed through a credit card company for ANY REASON. If there is an issue with the puppy covered by the guarantee the breeder/seller will replace the puppy if needed or will work with the buyer to make the situation right for all parties. Fill out this form and choose the PAYPAL button after clicking Submit below. PayPal: Credit card and PayPal payments can take 48 business hours, or even up to 5 days in some cases, to clear and your puppy will not be on hold until it clears, so if you are worried about someone else getting the puppy you want best to do a bank wire. If paying by PayPal choose PAYPAL PAYMENT option on this form and it will then take you to PAYPAL to send the money via your PayPal account. You can use your PayPal account or your credit card with PayPal. Buyer agrees that no charge backs or disputes will be filed through a credit card company or PayPal for ANY REASON. If there is an issue with the puppy covered by the guarantee the breeder/seller will replace the puppy if needed or will work with the buyer to make the situation right for all parties. Below choose DEPOSIT or PAY FOR PUP to put in an amount you are paying today. DO NOT FILL OUT BOTH FIELDS! Choose one or the other. DO NOT FILL OUT A PRICE AMOUNT BELOW UNLESS YOU ARE PAYING BY PAYPAL TODAY. IF BANK WIRE OR MAILED IN PAYMENT SKIP THE PAYMENT FIELDS BELOW. INSTEAD, DESCRIBE ANY ADD ONS OR PAYMENTS IN ADD A NOTE SECTION BELOW. FINAL TOTAL BELOW: Must be blank if you are paying with a mailed in payment option or bank wire. 1. Airline Shipping Insurance $10 for each $1000 protection against death or injury due to airline negligence. Pup will ship with NO insurance otherwise. 2. Boarding $75 per each week. 4. Or if other explain. *State/Province: Choose a StateAlabamaAlaskaArizonaArkansasCaliforniaColoradoConnecticutDelawareDistrict of ColumbiaFloridaGeorgiaHawaiiIdahoIllinoisIndianaIowaKansasKentuckyLouisianaMaineMarylandMassachusettsMichiganMinnesotaMississippiMissouriMontanaNebraskaNevadaNew HampshireNew JerseyNew MexicoNew YorkNorth CarolinaNorth DakotaOhioOklahomaOregonPennsylvaniaRhode IslandSouth CarolinaSouth DakotaTennesseeTexasUtahVermontVirginiaWashingtonWest VirginiaWisconsinWyomingAlbertaBritish ColumbiaManitobaNew BrunswickNewfoundlandLabradorNova ScotiaOntarioPrince Edward IslandQuebecSaskatchewanNorthwest TerritoriesNunavutYukon Canadian provinces included. *I Agree To Health Contract On Breeder`s Website. Yes I Agree. 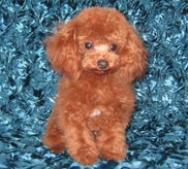 *I Have Read and Agree to ALL pages as well as BLOG page On Breeder`s website. *I Have Read NUTRITION INFORMATION, and will have food and vitamins on hand when puppy arrives: Yes I will order both now. Any person sending a payment must be included as BUYERS and SIGN the Health Contract: Explain ownership in Notes Above. *Deposit: deposits are nonrefundable and if something happens to your puppy your deposit is slid to the next puppy of your choice. If you change your mind on getting the puppy your deposit is forfeited, (NO EXCEPTIONS). When buying one of our puppies you are agreeing to this and everything else on our purchase contract/ health guarantee.